The land of China is mystical and enchanting. One can delve deep into the beauty and lose themselves in it. So are the China Shores. 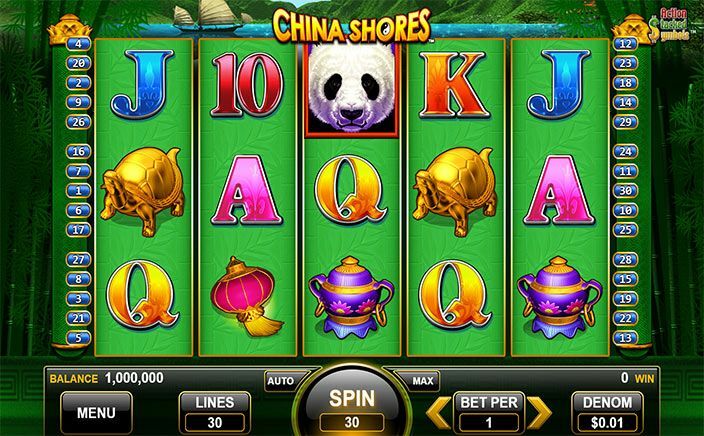 Inspired by that, Konami, the leading slot developer brings China Shores, an exciting slot game with a simple and relaxing theme. This slot will let you witness the rich culture of China with its traditional-themed symbols. This slot is designed for players who seek a peaceful and relaxing gameplay. This is a 5 reel 30 payline slot with culture rich symbols. It has a simple gameplay and soothing animation. It has good graphics, crisp sounds and interesting theme which can indulge you entertained for at least a couple of hours. The low paying symbols are the basic card symbols from 9 to A. The high paying symbols include a Chinese lantern, a golden coloured tortoise, a Chinese porcelain dish and a letter from the Chinese language. The symbols match perfectly with the theme of the slot. The special symbols are the valuable Yin-Yang to trigger the bonus round and Pandas as the wild symbol. China Shores is not recommended for players looking to bet high. The coin sizes vary from a meagre £0.01 to £2. Hence the minimum and maximum bets are limited to £0.30 and £60 respectively. The Action Stacked Symbols feature greatly improves the chances of winning. In this feature, the adjoining symbols are replaced with each other to create a winning combination. Hence, the whole column can turn into the same symbol or in other words, huge wins. The scatter symbol of this slot offers free spins to players. 3 scatters can offer 8 free spins, 4 can bring 10 free spins while 5 of them offer 15 free spins to the player. More spins, hence more fun. For the added bonus, the wins in the free spins rounds are doubled meaning more payout. The wild symbol of this slot is the cute panda which can replace all other symbols except the scatter. Whenever the panda replaces a symbol, it starts spinning and smiling representing the playful nature of the animal. 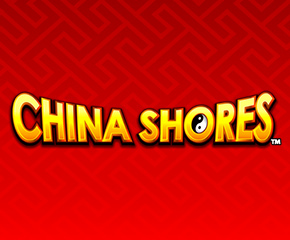 China Shores is a simple and fun game for players looking for a relaxing entertainment. This culture-rich slot includes symbols characteristic to China’s traditions. It offers a decent RTP of 94.09%.